This brownie is a treat for young listeners—but not the kind you eat! 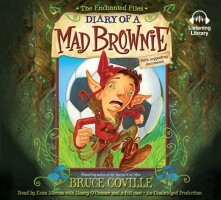 DIARY OF A MAD BROWNIE is the first audiobook in Bruce Coville’s hilarious new series, The Enchanted Files, about ancient magical creatures who befriend modern-day kids with hysterical consequences. 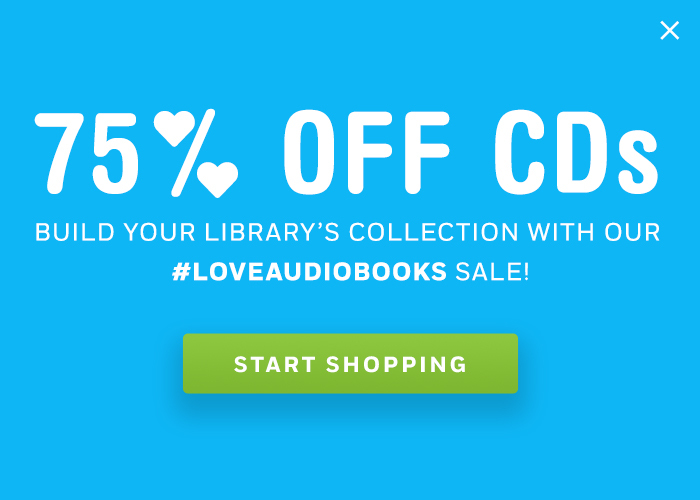 Bruce Coville is the popular author of over 100 books for children, including the bestselling My Teacher is an Alien series, and his new series is sure to delight a whole new generation of listeners. The master of funny fantasies has delivered a tale packed with Scottish lore and laughs galore! Told through a series of diary entries and other documents, DIARY OF A MAD BROWNIE is the story of one very messy girl named Alex, and a tiny magical brownie named Angus, who must work together to break a curse. “I’ve known Bruce Coville for over fifteen years, so when Diary of a Mad Brownie hit my desk, I couldn’t have been more excited to work with him again. After reading it, I knew what I had suspected all along, Bruce is a mad genius with a pen. Only Bruce could write a book from the perspective of a young girl and a figure from Scottish folklore, and make it sound realistic. As always, he takes us on a fantastical journey with distinct characters and dialogue that just screams to be transformed into an audiobook. The real challenge with casting this audiobook was trying to find someone who can sound authentic as the tiny Scottish troublemaker Angus. Luckily we found Euan Morton who is not a big troublemaker, but an amazing stage and audiobook actor. Euan can morph his voice to sound like a character that is a foot tall, or a hundred feet tall, and we took full advantage of that with Angus. The other challenge was finding an authentic sounding pre-teen to play Alex Carhart. There are not that many actors with the range that can convey the curiosity and innocence that you hear from an eleven year old. When I spoke to Bruce about this character he mentioned that he recorded a young girl named Nancy O’Connor for a book he produced. She was 13, but still sounded the part. I will state this for the record, Nancy O’Connor is a director’s dream. Not only did she embody Alex Carhart, but was as accurate a narrator as I have ever worked with. After we edited all of her parts, and placed them next to Euan’s we realized that we had something special here, and that only begins to scratch the surface with regards to this audiobook. There are other narrators littered throughout, and it really makes for a compelling listen. Leave it to Bruce to give write something with so much texture. FUN FACT: If you listen closely, you’ll hear special cameos throughout the recording from members of the Penguin Random House Audio team including Dan Zitt, Senior Vice President and Publisher Amanda D’Acierno, Marketing Manager Jennifer Rubins, Producer Karen Dziekonski, and Senior Marketing Manager of Random House Publishing Group, Joe Scalora! Critics are mad about DIARY OF A MAD BROWNIE, too!